“Ronald Reagan’s White House Collectible Pen” – Will is thrilled to throw the first-grade parent social so that he can use this event to springboard his anti-smartphone platform to get parents to wait to buy their kids cellphones until eighth grade. He ropes his new love interest, Dr. Dewan (Hannah Simone), into helping him, but his plan doesn’t work out quite like he had hoped. 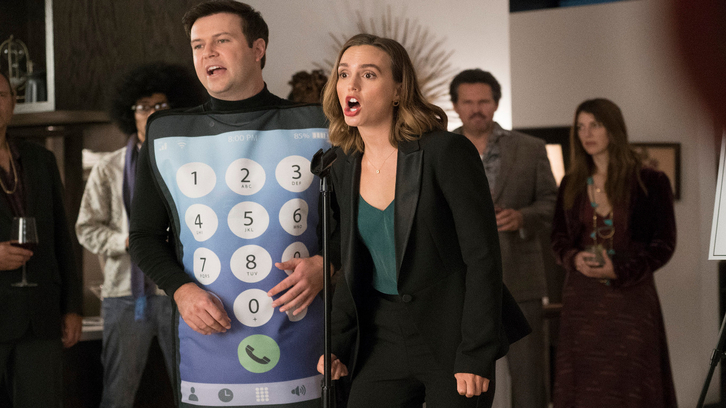 Douglas offers to have the social at his house so he can exact revenge on his rival dermatologist, Mark, whom Douglas is convinced stole his prized pen, on an all-new episode of “Single Parents,” WEDNESDAY, DEC. 5 (9:31-10:00 p.m. EST), on The ABC Television Network, streaming and on demand.